For much of the general population, protein shakes can prove to be the ideal kinds of snacking choices. They help people on a high-protein diet meet their weight-loss goals quickly. And they are great recovery agents for all those times when you end up with a muscle or tissue injury. The human body, if you didn’t already know this, is largely made up of protein structures. With collagen (of antiaging fame) and keratin (keeps your hair looking right) being some prominent examples. As many people would relate, the best thing about them is that they’re very pleasant to taste. Well, at least most of them (with their taste ultimately depending on the brand that you choose). And with the assortment of delicious flavors that are generally on offer, you don’t have many excuses to avoid them completely. Chocolate, mint, and raspberry happen to be the more popular choices, by far, on this front. Most people prefer to wash them down in the form of shakes. Yes, protein shakes are good for you! Others, however, tend to be more adventurous. And nowadays, you can easily find protein-committed individuals incorporating protein supplements in all kinds of savory and dessert items. Cannabis oil-containing protein brownies and cookies, for better and for worse, happen to be all the rage these days. The internet currently sports many websites that contain a number of interesting recipes which use cannabinoids. And in most cases, these eatables promise to provide the same ‘high’ that users might experience from smoking the stuff. Perhaps even more. This ready ability to assimilate points to another fascinating property of protein supplements – the fact that they’re extremely flexible. You can use them within any culinary treat that you fancy. Even in such mundane things as coffee and tea – and without compromising too much on taste. The human body needs about 20 amino acids to function. So, What Makes Protein Shakes Good For You? One important concept that relates to the quality of protein consumed has to do with its amino acid scoring. This idea is mostly grappled with by expert nutritionists and dietitians. Simply put, a particular food’s amino acid score tells us about the relative quantities of the nine amino acids it contains. Egg whites have a pretty impressive score profile, while foods like legumes and certain kinds of meats are a little deficient. Consuming too much protein, however, stirs up a controversy in some scientific circles. Some recent research studies have shown that people on a high-protein diet have noticeably raised IGF-1 levels. This is a vital body growth hormone. But too much of it has been associated with a raised risk of cancer. By the same token, keeping protein-intake to moderate and low levels returns this substance to normal levels. Along with keeping IGF-1’s disease-risk profile on the low. So are protein shakes good for you? Well in light of these research accounts, moderation (as has already been pointed out) may be key to keeping risk in check. You shouldn’t skip on these nifty beverages altogether (and so miss out on some of their amazing health benefits altogether!). The catch with natural food sources of proteins, however, is quantity. Or more precisely, the amounts that you would need to down to meet your RDA (recommended daily allowance). This, in a nutshell, is the ‘limiting factor’ which pushes many people towards counter protein products. Protein shakes for women (since ladies, in my experience, are big on going high-protein for weight loss) are great in this respect. For most brands, a single 250 ml fluid serving can easily beat devouring an entire chicken leg piece for meeting protein requirements. Or a bowl full of ‘daal’ (a staple Indian dish made up of a combination of pulses). Or fistfuls of quinoa and sushi. But with all things considered, protein shakes really are good for you. And if you’re looking to shed off the excess pounds from your waist, I would strongly recommend consuming them. They also work great for people on a hypertension diet – by making them feel full for longer periods. 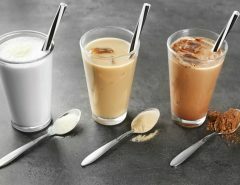 Next Article Are protein Shakes Healthy? 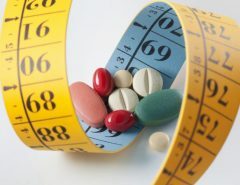 Slimming Pills Vs Diet and Exercise – Which is Best? 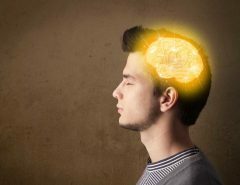 Tips: How to Improve Brain Health and Memory?